GIven its stature in the Asian American theatre canon, its inclusion can be considered more or less inevitable. First Asian American playwright to win a Tony. B. D. Wong as one of the few Asian American actors to win a Tony. 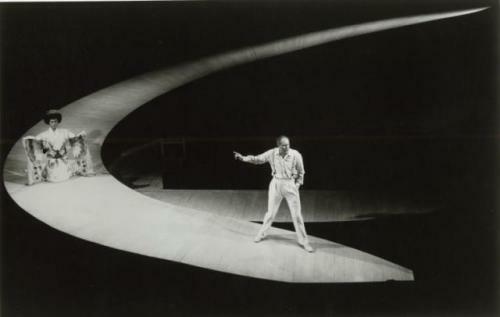 (And director John Dexter also won a Tony). And, in contrast to other Asian American plays, headed for a revival on Broadway, helmed by Julie Taymor. Based on the true story of French diplomat Bernard Boursicot and Shi Pei Pu, a male Peking opera singer, M. BUTTERFLY is a much more expansive story of cultural hubris and imperialism, somewhat presaging the days of Western decline (at the time, I said I would have given my right arm to have written such a script…and it would have been a bargain); an ambitious work whose reach nearly matches its grasp. It was not without its critics from within the community (though, in recollection, some of the critiques seem less than respectful of gay people), but the play still hits many of the points that the Asian American community have made throughout the years AND STILL ARE MAKING. Guess that makes it still relevant….